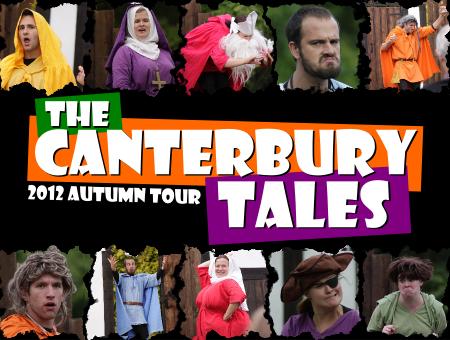 Back by popular demand after a hugely successful open-air tour in 2011, The Pantaloons’ unique version of The Canterbury Tales hit the road again in November 2012. And it was more Chauce-some than ever before. In a theatrical first, a cast of just five actors presented every single one of Geoffrey Chaucer’s timeless tales in under two hours. Massive crowds joined the pilgrims for puppetry and poetry, music and magic, talking chickens and burnt bottoms. Fast-paced, physical and funny, the show went down a storm and will be coming to more theatres in Autumn 2013.